Each year, the anniversary of Maestra Thecla’s “birth to heaven” finds us all united in remembering her in prayer and in the desire to imitate her docility to the will of God and great love for the Gospel. 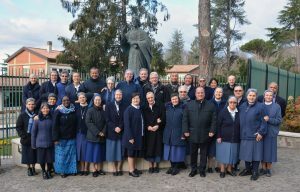 Little by little, as we penetrate her life more deeply–including through the many letters (over 10,000) that she wrote to our sisters–we are captivated more and more by the simplicity and human warmth that made her close to each person. It was a source of suffering to Prima Maestra when she was not always able to reply–or reply quickly enough–to the letters of her daughters scattered throughout the world. In one of her circular letters, she wrote very tenderly: “If you don’t hear from me, don’t think that I’ve forgotten you. No! I carry you all in my heart. I present you to the Lord every day and place you under the mantle of the Blessed Mother” (VPC 112). Prima Maestra’s presence was indispensable for the growth of the Congregation and the development of the Pauline Family. Fr. 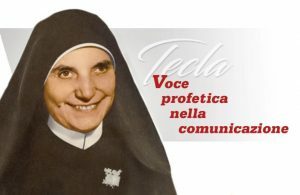 Alberione himself recognized this and said: “Perhaps less well known is this point: how she [M. Thecla] contributed both directly and indirectly to the other Institutes of the Pauline Family, and not just through prayer…. She felt their problems, rejoiced in their growth, kept informed about them. During her final illness, she thought about them and prayed for them” (CVV 264). And he continually pointed to Maestra Thecla as an example of fidelity to the will of God: “Always revere the words of Prima Maestra,” he wrote to the Daughters of St. Paul, “and receive them not only as the will of God but also as if they were the thought of Primo Maestro, because there are not two thoughts here but only one, and I believe it is the thought and will of God. I am convinced that this is the way to holiness for you and for the progress of the Congregation” (FSP54, p.155). In celebrating the memory of Prima Maestra’s return to the Father, let us renew our commitment to making our Mother known and let us ask her intervention in every need. 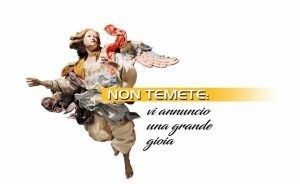 To this end, a Novena booklet entitled Trust God has been prepared and has already been translated into the main languages so as to ask for graces through the intercession of Prima Maestra. Let us enthusiastically disseminate this small but precious booklet wherever we go, inviting people to pray to her and ask her to intercede for them, so as to obtain the miracle we need for her beatification. Let us recall her emphatic statement: “The Lord does not give you what you ask for but what you believe you will receive.” United in belief, let us ask through prayer to live of her great loves: Jesus Master, the Eucharist, the Church, and the Gospel proclaimed to all peoples with the new languages of communication, to the point of complete sacrifice. We also want to entrust to her our preparations for our upcoming General Chapter, asking her to ensure that this event will be rich in grace and in Pauline prophecy.